For two days, global experts will discuss the future of banking, fintech firms, blockchain, and mobile payments. BBVA’s Global Executive Chairman will give the closing presentation at the event. The international conference MoneyConf will bring together the world’s top experts in technology and finance. On June 6th–7th, La N@ve will be the meeting point for the world’s leading financial institutions and new, disruptive international companies. They will discuss how technological advances are transforming the financial sector. BBVA Global Executive Chairman Francisco González will participate in the final session on June 7th at 4:15PM, when he will hold a dialogue with Financial Times reporter Laura Noonan regarding financial institutions’ adaptation to the new digital ecosystem and banks’ progress in this transformation process, among other topics. The day before, BBVA’s Global Head of Customer Solutions, Derek White, will participate in a round table discussion entitled “Competition makes you smarter: Customer centric banking” together with Jaidev Janardana, CEO of the fintech firm Zopa, and Andrea Rexer, a journalist with the German newspaper Sueddeutsche Zeitung. The three experts will discuss the huge opportunity that technology represents in terms of generating value for customers. Also participating in the event will be Mark Mullen, CEO of Atom – the U.K.’s first mobile-only bank, in which BBVA is one of the main investors. Mark Mullen will participate in the debate “Challenger banks do not threaten traditional banks” with Bart Leurs, Chief Innovation Officer at Rabobank, and Warren Mead, KPMG Partner and Global Co-Head of Fintech. What expectations are held of blockchain? What obstacles does it entail? These are some of the questions that Ripple CEO Brad Garlinghouse will answer. Ripple is a leading company in the world of blockchain-based payments and participates in international projects with BBVA. Etherum co-founder Joseph Lubin will discuss the relationship between this disruptive technology and bitcoin. Another expert, R3 CEO David Router, will discuss how new technologies are revolutionizing the world of commerce and investment, with Joanne Hannaford, Head of EMEA Technology at Goldman Sachs. 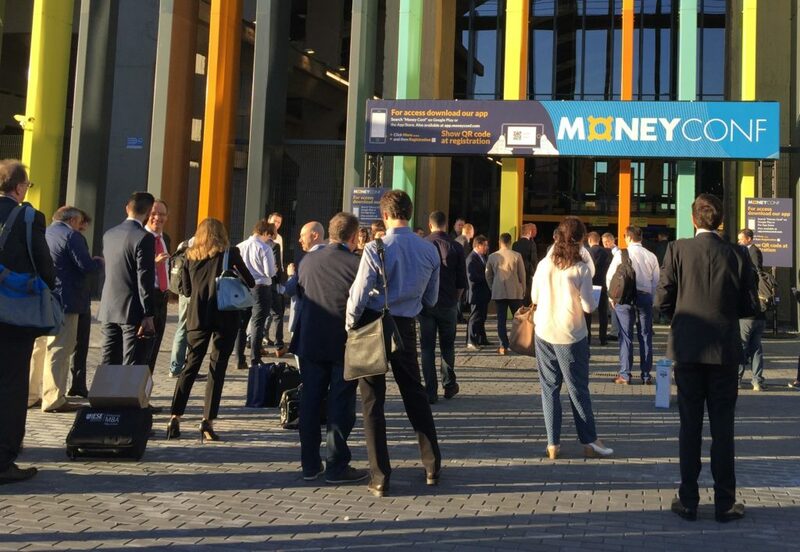 More than 1,800 people will attend MoneyConf, the global event in which 500 companies from 60 countries will participate. More than 100 CEOs who are experts in the new technologies that are transforming the world of finance will also take part.